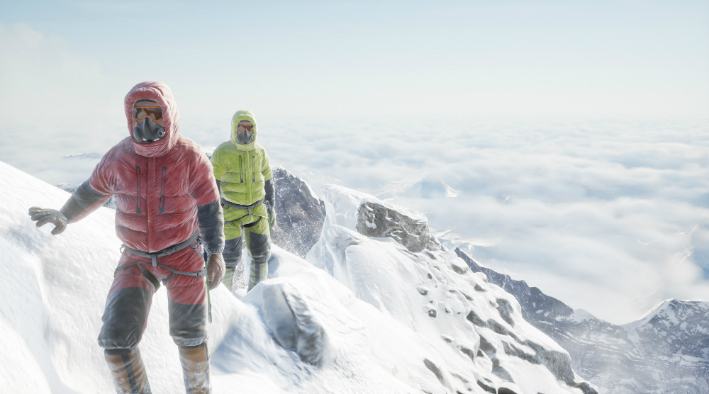 Find out what we thought of Sólfar Studios' Everest VR on the Oculus Rift. Everest VR isn't a game, which makes it hard to review from the perspective of a game critic. It doesn't attempt to be a game, and if it did, it wouldn't be an excellent one. Instead, Everest VR is a "VR experience," which is a term that gets thrown around willy-nilly to describe pretty much everything you can do with a virtual reality headset. On the contrary, I believe that "VR experience" describes a feeling and a sense of wonderment that you could only get using VR technology, and Everest VR is certainly that. Although Everest VR has been available for HTC Vive owners since August 2, 2016, it wasn't until the release of the Oculus Touch that the experience could be translated to the Oculus Rift. Oculus Rift owners get the advantage of a fuller experience, with several historical expeditions and an exploratory God Mode that weren't available at launch on the Vive. Those purchasing the Oculus Rift version also get a more affordable price of $14.99, as opposed to the $24.99 Everest VR cost on the Vive on release in August. It's with the new price point in mind that I'm determining the worth of the experience, and with which I am calculating my recommendation of Everest VR. 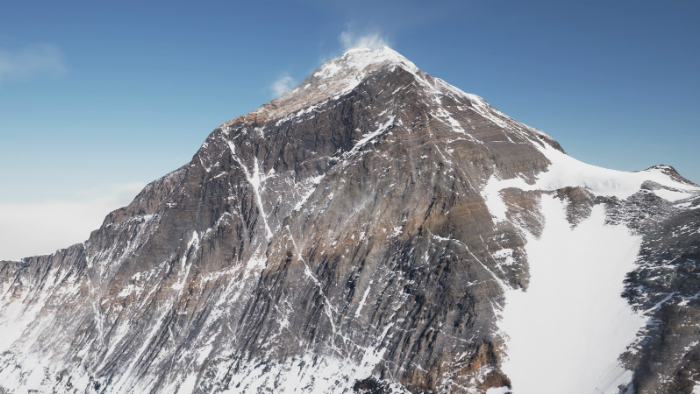 In preparation to create Everest VR, developers Sólfar Studios partnered with RVX to take and piece together tens of thousands of high-res images of Mt. Everest. The stitched together pictures were then applied to a accurate model of Mt. Everest to come as close to photo-realism as you can on current virtual reality headset tech. The whole thing is powered by Unreal Engine 4 and features NVIDIA GameWorks Turbulence tech, that allows for more realistic snow, and Multi-Res shading, which helps save processing power by rendering the center of the picture at a higher fidelity than the image you see if your peripheral vision. To get the best visual effects possible out of Everest VR, you'll need a GTX 970 or higher, and for the highest detail settings possible you'll want a GTX 1070 or 1080. I experienced Everest VR with an i5-6600K, GTX 1080, and 16 GB of DDR4 RAM. With this set up I was able to view the experience at full settings with no performance issues. Everest VR looks stunning on its highest settings and looking down into the mountain passes and off the peak of Mt. Everest, I felt a sense of vertigo as my subconscious was tricked into believing the illusion in front of my eyes. I'm semi-comfortable with heights, but I can say if a fear of high places is something you suffer from, Everest VR might not be right for you. It was easy to feel transported to that largest of mountains, and I loved getting the feeling that I was actually there, in a place I'll never go in real life. In the mission to make you feel as though you're exploring an new and unfamiliar place in the world, Everest VR succeeds. Besides the 18 historical expedition routes you can take, you can also use God Mode to explore Everest as you desire and even follow the 1953 Hillary Expedition via photograph and see each site where each photo was taken. One of the hardest things to measure when looking at a VR experience is whether or not it's worth the money you have to pay for it. Virtual reality is still very expensive to make, and unfortunately, the "pocket" experiences we get are often over too often to justify the price. However, at $14.99 Everest VR is very reasonable for the several hours of content you'll find here. I suggest instead of running through it at once, to savor it. Play 15-20 minutes here and 15-20 minutes there, and take the time to look around and drink in the scenery. I've found myself so used to playing games that are slammed with content that I forget that often it is the experience of simply being in the game world and soaking in the ambiance and that feeling of being placed in a whole new and exciting location that I'll rush through a VR game and be disappointed. However, more than any other genre or type of game, to fully enjoy your experiences in VR you have to treat them like a real landmark, as though you were really there, and stand and enjoy the view. Everest VR is another exciting journey to a place on Earth that many of us would otherwise not be able to visit. Sólfar Studios has made an excellent example of how virtual reality can offer an experience that is somewhere between a movie and a video game, a still story that we can walk through at our leisure. If you have an Oculus Rift headset and Oculus Touch, I heartily recommend Everest VR as a great way to introduce others to VR or as an awesome trip through the history of the world's highest mountain. This review is based on a digital download code provided by the publisher. Everest VR is available February 14, 2017, for $14.99. Great way to visit Mt. Everest without actually having to go. An excellent way to relax in VR. Some may feel like there's not enough content. Not a "game" in the traditional sense. Will need to check this out.